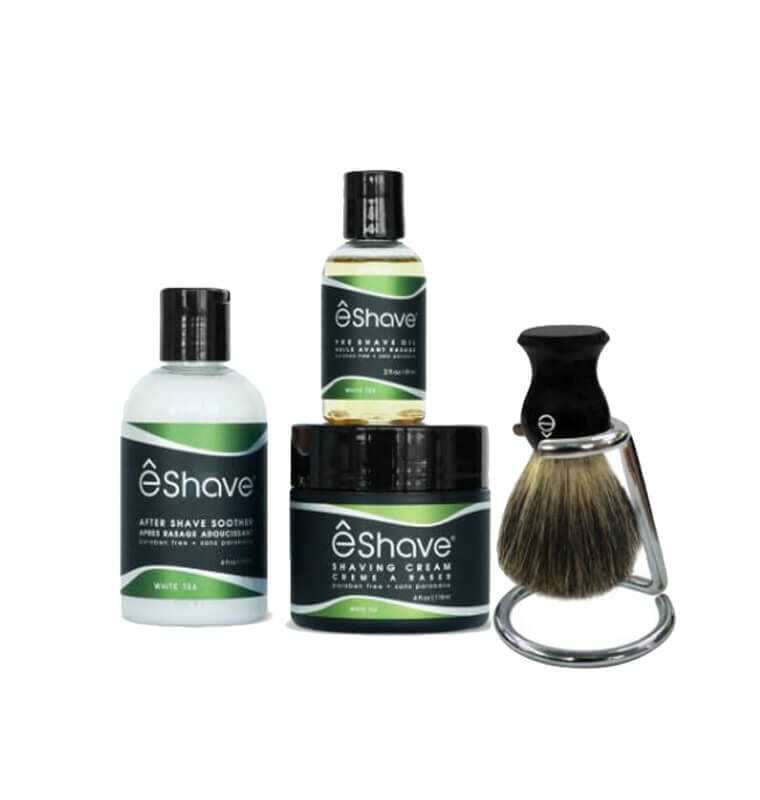 eShave T Shaving Set has all you need to get a perfect shave. 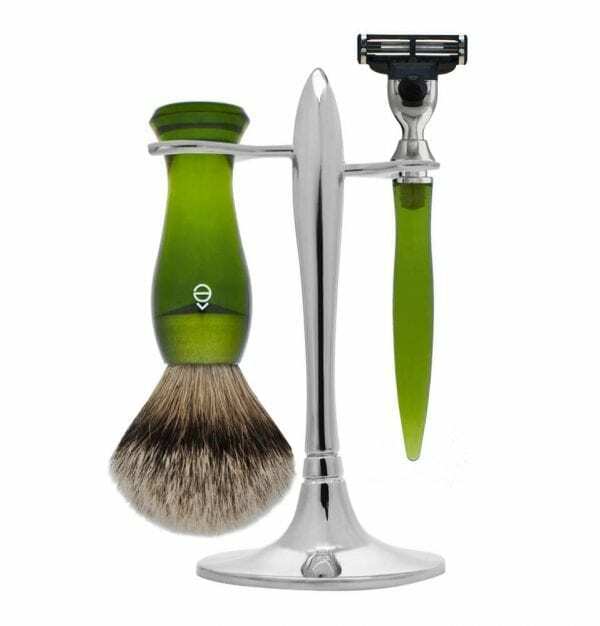 This Shaving Set is a stylish and ideal way to maintain and display your Shaving Brush and Razor. 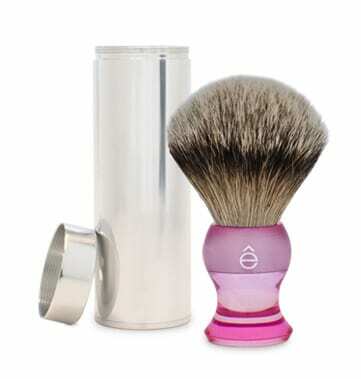 ABOUT BADGER HAIR: Silvertip Badger Hair is the highest Badger Hair quality. 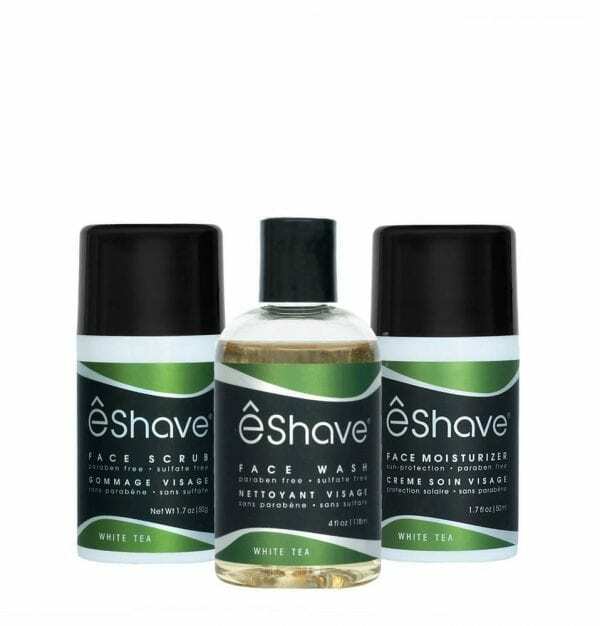 It is the softest and the most resistant hair, stiff at the base and soft at the tip to give an amazing shaving experience. 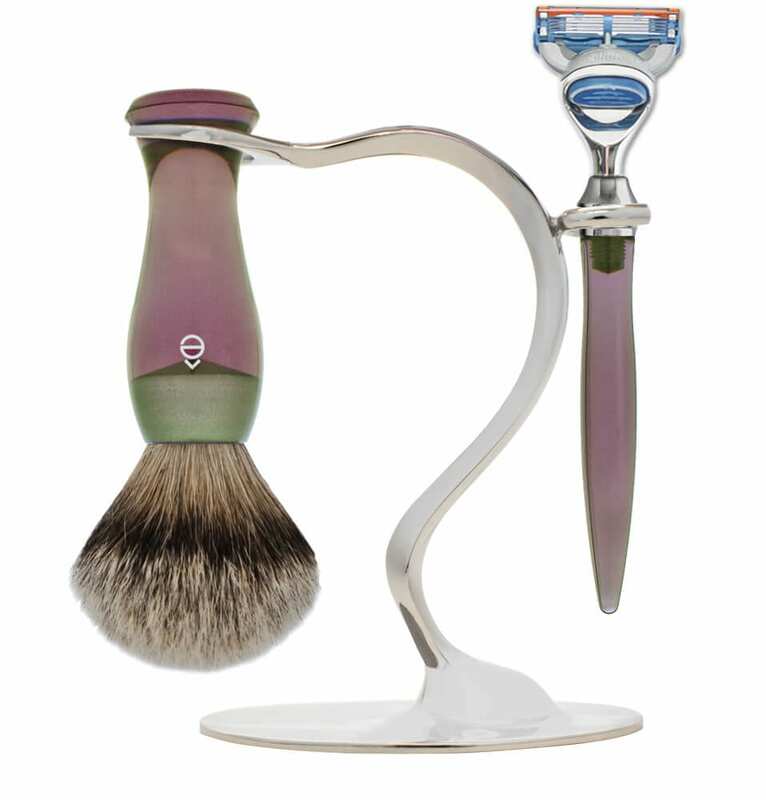 Silvertip Brush heads are hand assembled and should last 10 years or more when used properly. 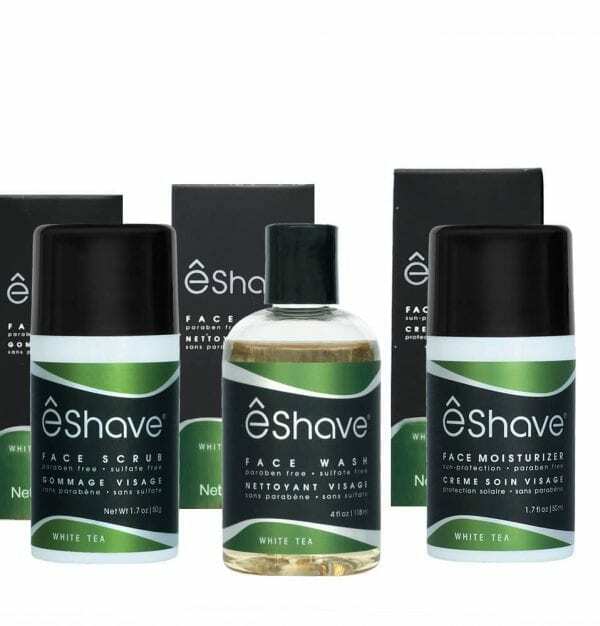 All eShave Shaving Brushes are hand made in house one piece at a time. 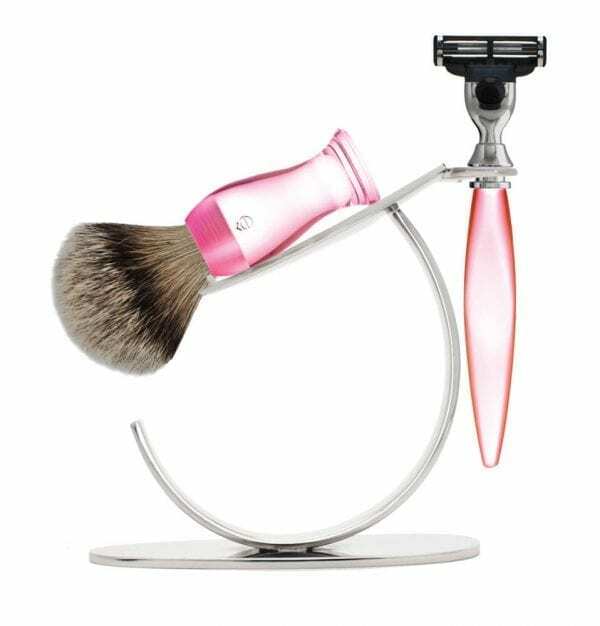 About the S Shaving Stand: About the S Shaving Stand: Elegance and whimsy blend beautifully in this creative sculpture that evokes a feeling of free-flowing movement.